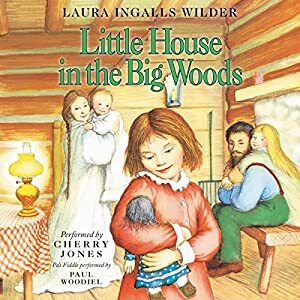 Little House Books on Audible Now, Perhaps for Laura’s Birthday? 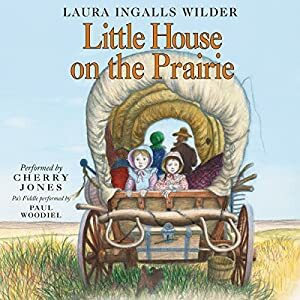 Hey I just caught word that the Little House books on CD are now available on audible.com. This is so cool! Can I even express how happy this news makes me! These are the narrations by Cherry Jones. Cherry has an amazing talent to make these scenes come alive! Delightful fiddle music by Paul Woodiel sparkles between each chapter’s narration. We listened to these CDs years ago with my older kids and I’ve introduced them to my younger set after we moved to Arizona. Every set we have ever listened to we checked out from the public library. I have soooo many happy memories of listening to these! Like all the times we were in the car, my five older kids and I, driving back and forth from Provo to Layton twice a week when we first moved to Davis County Utah in November 2004. My big kids still had creative dance classes at BYU, for the rest of the school year. That’s a three hour round trip, with a nursing infant. 🙂 These stories on CD made those trips so bearable and actually fun! Now you can have the whole set of the best books for children all in the palm of your hand on your phone! This is so handy for road trips or even when at home. No having to store all the boxes of CDs and remember to transfer discs from the home to the car to the home. This is such amazing news!!! Yay!!! No keeping track of 9 times however many CDs in each box, 7 or 8, if I recall. I wonder if this launch is being done in conjunction with Laura’s 150 birthday? Yep, she was born 150 years ago today on Feb. 7, 2017. What would she think about life today? Here is a funny write-up of what she would say on social media if she had her own Facebook or Twitter accounts. It’s laugh-out-loud funny! Happy Birthday Laura! May you continue to inspire us with your simplicity and love of home! May little kids forever more be thankful for a simple rag doll and maple candy for Christmas like Laura or a sled like Almanzo for his birthday. 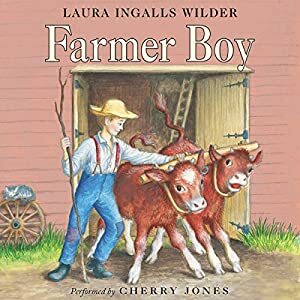 May we all be motivated to work hard like Laura and her Farmer Boy! 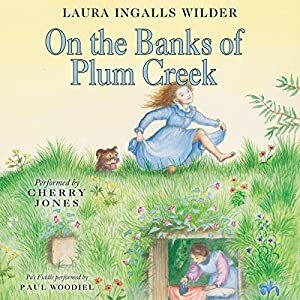 This entry was posted in Uncategorized and tagged cherry-jones, laura-ingalls-wilder-birthday, little-house-books-on-audible, little-house-on-the-prairie, littlehouse, paul-woodiel. Bookmark the permalink.